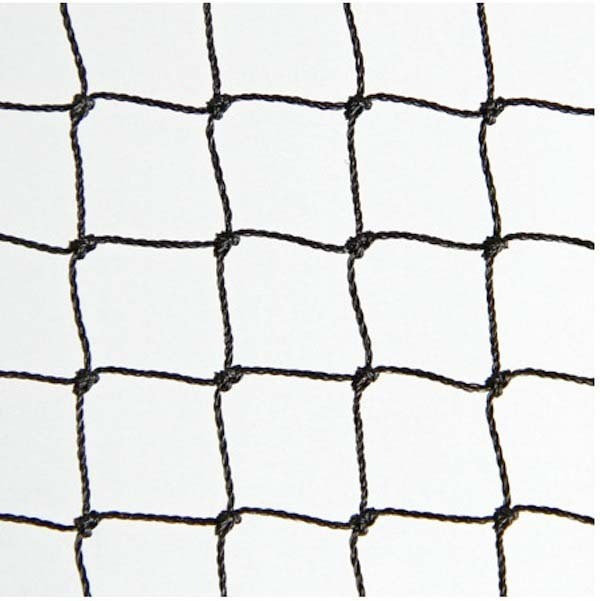 AviGard® Crop Structure Knotted Bird Net - 25ft x 100ft, Black Color, Mesh Size 3/4in. x 3/4in. 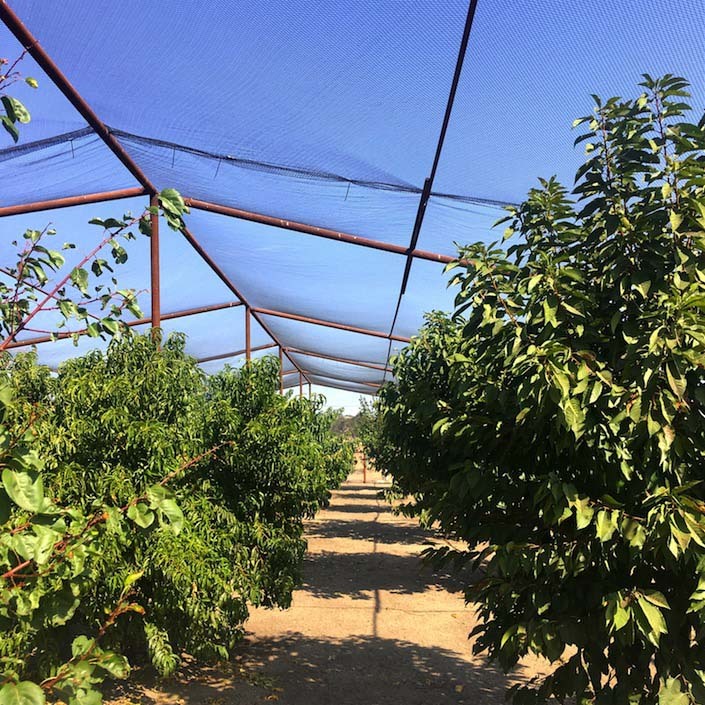 To install AviGard Crop Structure Bird Nets, s-t-r-e-t-c-h the net open to its full installed dimensions on the ground before attempting to drape net on hoops, scaffolds or other supports. 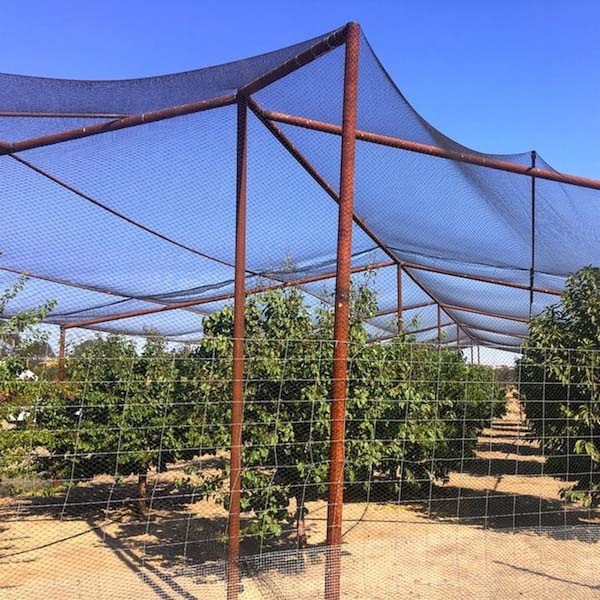 Each corner of the net is marked with a white flag and this net also has 2 brown flags at the 50ft mid-point of each 100ft side. 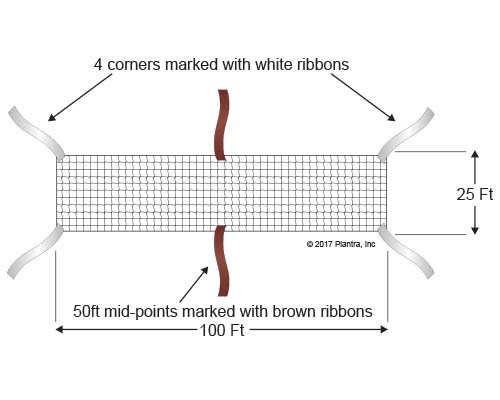 To start, locate one corner (with the white flagging) and anchor it to the ground before attempting to open the net further. 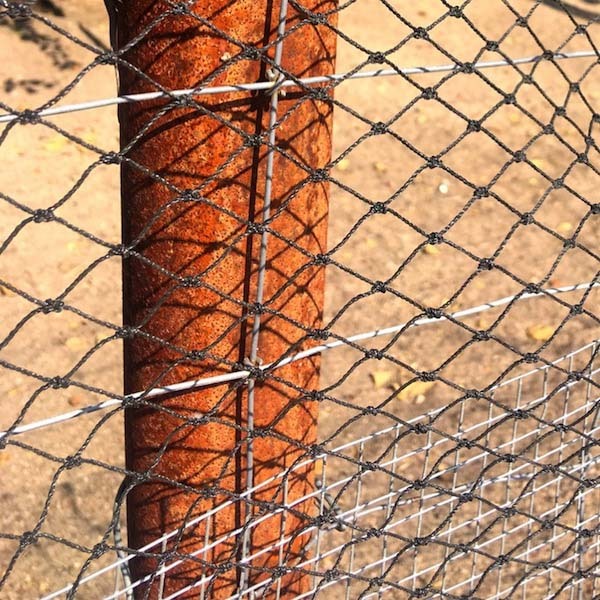 This is best accomplished by using a stake (6in or longer) to securely anchor the corner against movement. After anchoring the 1st corner, move to an adjacent corner (not the the diagonal or opposite corner) and pull net open until meshes take on a uniform square shape. Anchor this corner with a stake and repeat for remaining two corners.